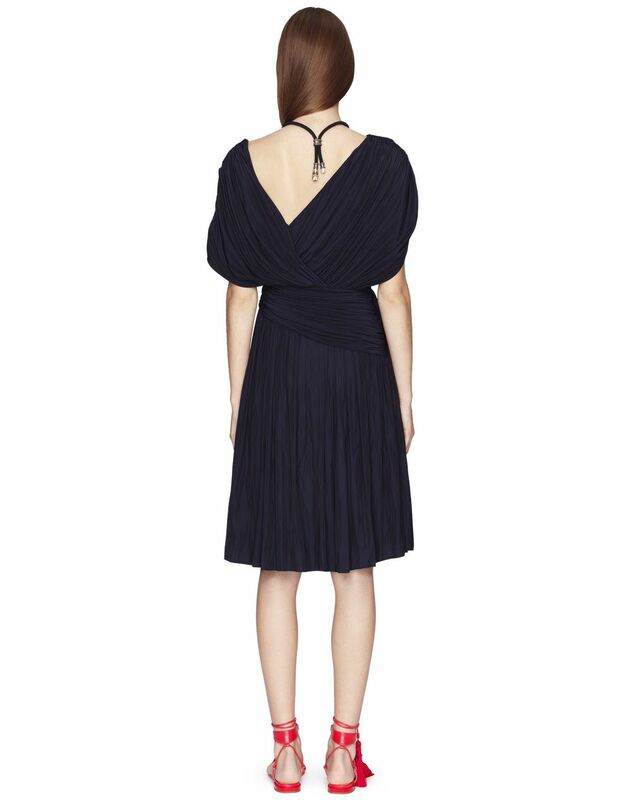 Mid-length midnight blue draped satin dress, short sleeves with draping details along the shoulder line, V-neck and V-back with asymmetrical pleated inset, fitted waist with pleated appliqué inset, and invisible zippered closure on the right side. 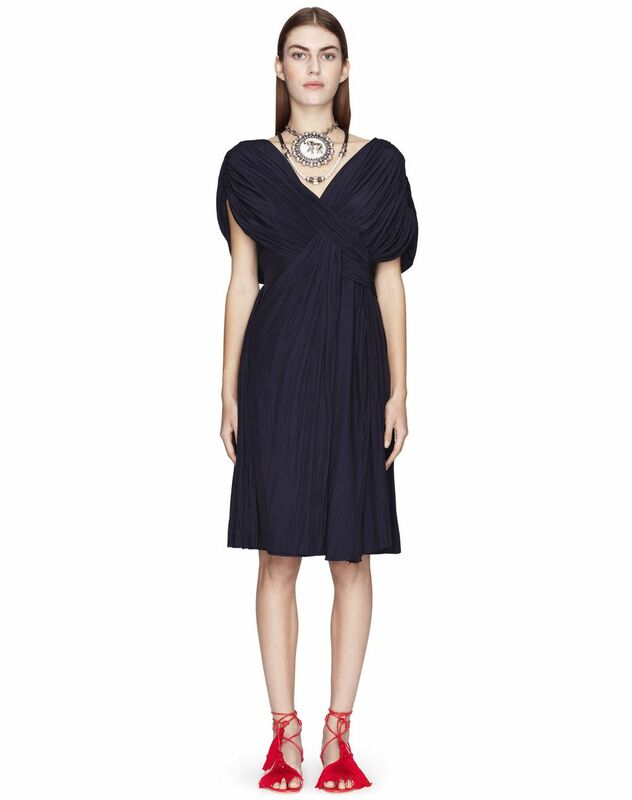 This midnight blue dress pays tribute to Lanvin's historical codes and expertise. Draped appliqué workmanship accentuates the silhouette and reveals an elegant asymmetrical exposed back. Feminine and delicate, this dress will be a part of your most stunning evening looks. Main material: 100% polyester weave. Model's measurements: Height: 5’ 10” Chest: 33” Waist: 23.2” Hips: 34.6” Model wears a size 4. Made in France.